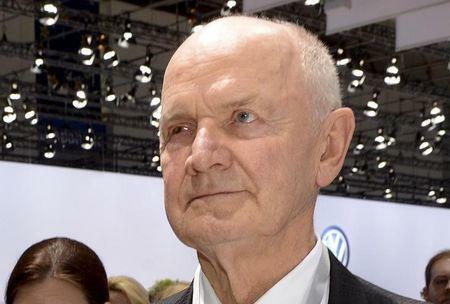 HAMBURG/BERLIN (Reuters) - Ex-Volkswagen Chairman Ferdinand Piech, who resigned after a showdown with former chief executive Martin Winterkorn, has refused to testify to German lawmakers investigating a possible government's role in the VW emissions scandal, according to his lawyer. A person familiar with the matter told Reuters on Sunday that Piech had raised the issue of excess diesel emissions of VW cars in the United States with Winterkorn in March 2015. The former CEO then replied to Piech that a recall of affected vehicles was already underway and that the problem would be resolved, the person said, adding that Winterkorn last year had given the same account to Jones Day. Winterkorn's lawyer has said his client would not be commenting until he had been granted access to files held by Braunschweig prosecutors. Left Party lawmaker Herbert Behrens, who chairs the German parliamentary committee tasked with investigating the emissions irregularities, said earlier this week that the latest escalation required a Piech testimony. Behrens didn't return calls seeking comment while fellow committee member Oliver Krischer, a Green Party lawmaker, criticised the refusal to testify. "This of course damages the (VW) brand and the entire German auto industry if those involved, even if they no longer belong to the company, do not manage to draw a line and clear the air," Krischer told broadcasting network Deutschlandfunk. The eight-member cross-party committee will question Weil and Transport Minister Alexander Dobrindt over the scandal on Thursday. The panel was set up last April to clarify whether Germany's federal government and regulators were involved in VW's emissions manipulations or failed to contribute towards their disclosure.